So, I’m lucky enough to already have an older sister and a younger sister. I only have little brothers, but we got that taken care of when Nate and I got married. Now I have like… 3 older brothers. One of my “little” brothers, Andrew, recently got married, and I was just pondering the other day about how fun it is to have a sister that is neither older, nor younger, just perfectly my sister. 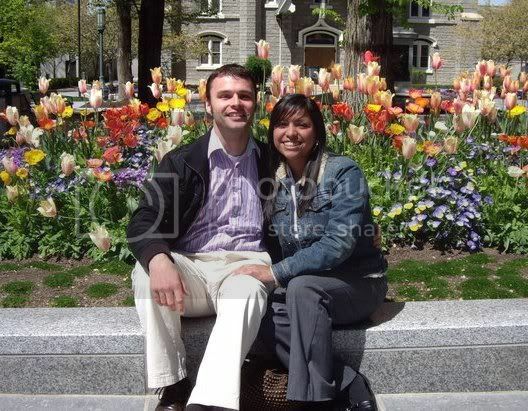 Andrew and Danella got married on September 30th in the Salt Lake Temple. As is normally the case, the sealing was the best part of the day… SO rich with the doctrines of eternity. 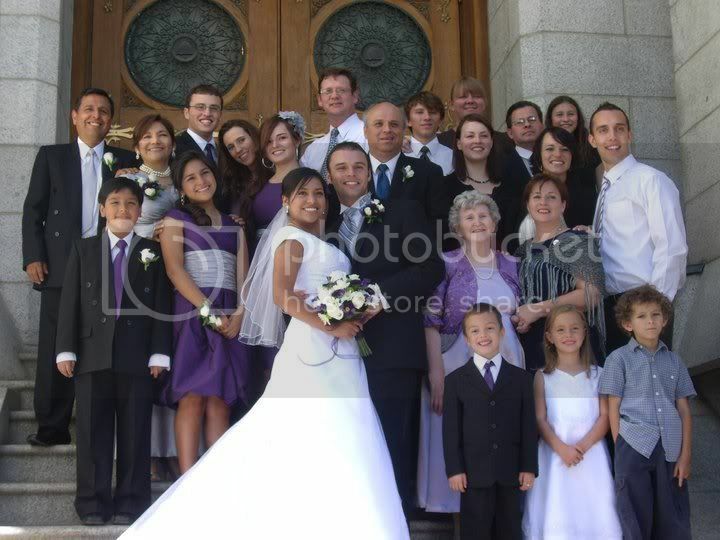 I loved being all together with my family and being able to tour Salt Lake with them. As is the tradition, there was MUCH dancing and partying to be done at the reception. I LOVED watching the bride and groom dance together. Danella was especially radiant when there was a performance of folkloric Peruvian dancing. She clapped and smiled and laughed, completely unaware of how adorable she looked. I could tell she was just itching to get on the floor and join the performing group. That night I was DEEPLY reminded of the fact that Latina blood still runs thickly through my veins. The music, the language, my family, the colors, the people… it made me miss home but feel at home at the same time. I love my new sister. She glows, and I know that she will take care of my brother and make him very happy. Danella, welcome to our family!! !